Desirable, delicate and lovely, Flower Fairies are the Guardians of Nature and Beauty who nurture and protect the petals and plants in their care. Inspired by the same purpose, Fairy Beauty is devoted to formulating solutions that help women eliminate damaging toxins from their bodies, evoke radiant youthfulness and enhance innate femininity. 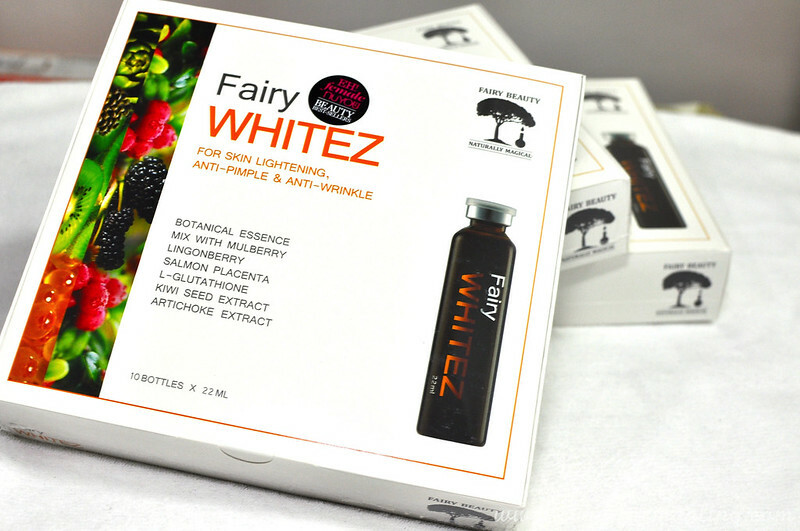 Fairy Beauty essences provide safe, scientifically proven, effective solutions for a whole range of skin and beauty related problems at a very affordable price. You'll see the magical effects in just 30 days! The packaging is pretty neat, clean and full with information. As you can see the above image, it is shown all the information such as the benefit, ingredients listing, direction of use and precaution are all stated behind the box. 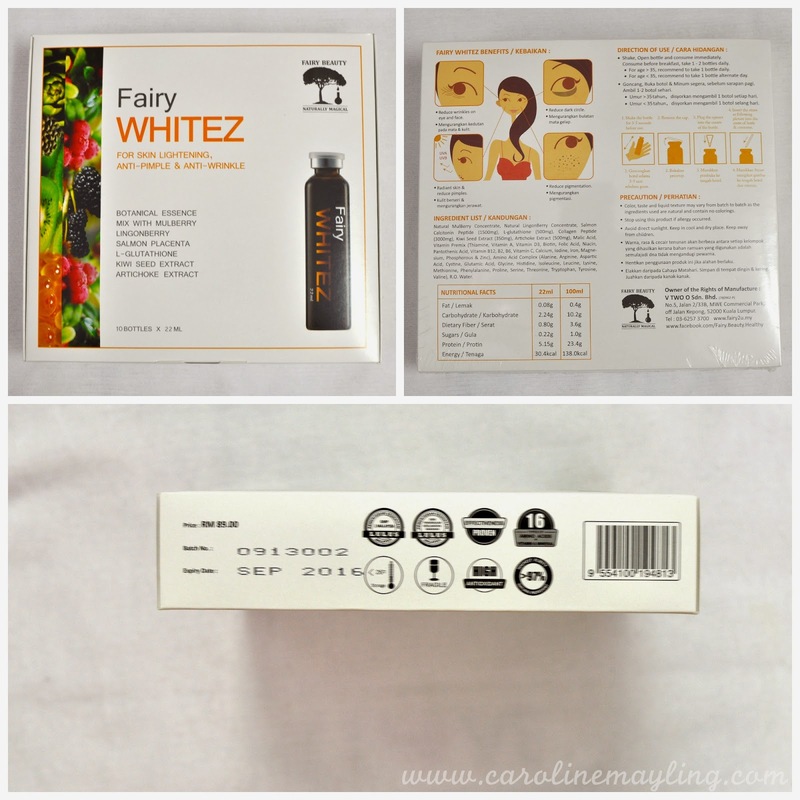 Of course, it's a must to check on the validity date of each box of Fairy Whitez to ensure it is safe to consume. 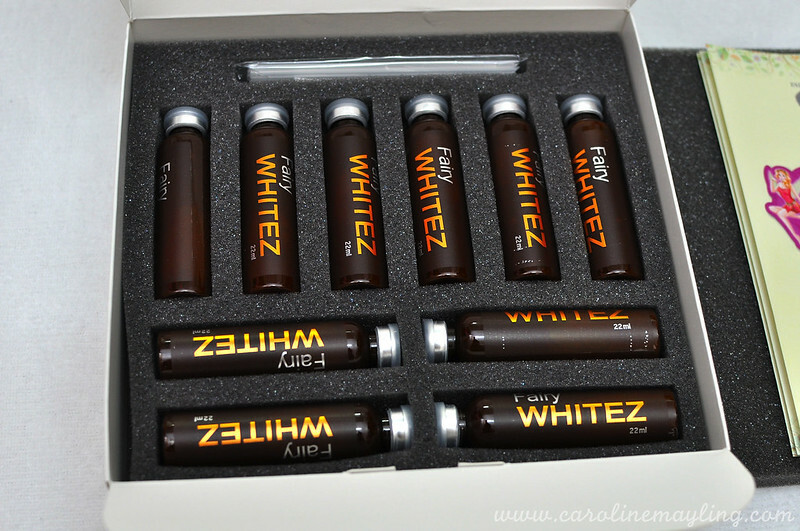 Each box contains 10 bottles x 22ml of Fairy Whitez, 10 straws and an opener tool for you to poke and the lid in order for you to insert the straw and drink it. I consume it daily and I made sure I drink it every morning before I take my breakfast. Do make sure you shake it well before open it. Promotes cells and tissue regeneration and improves blood circulation. 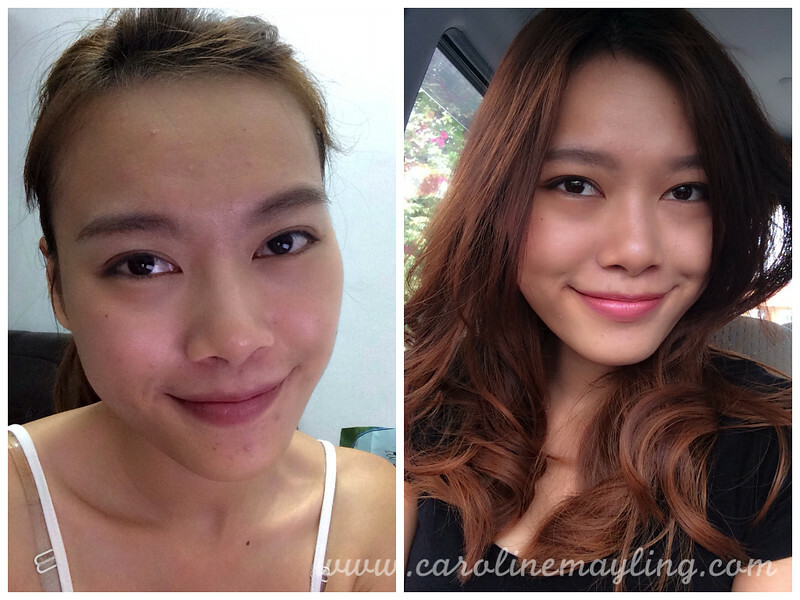 Restores skin elasticity and tightens pores. 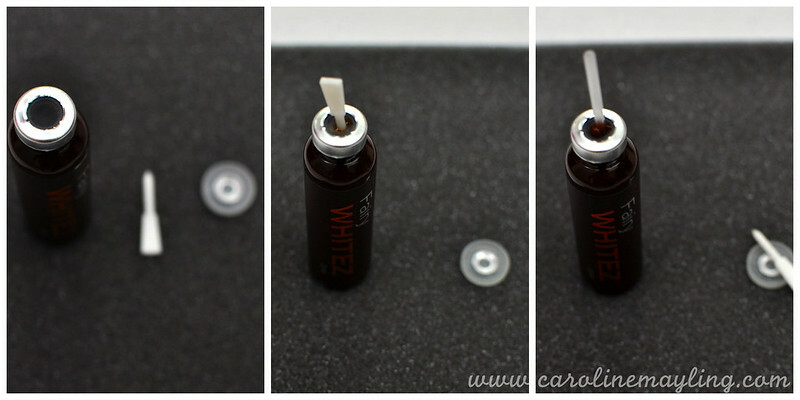 Encourages thicker hair growth and promotes healthy nails. 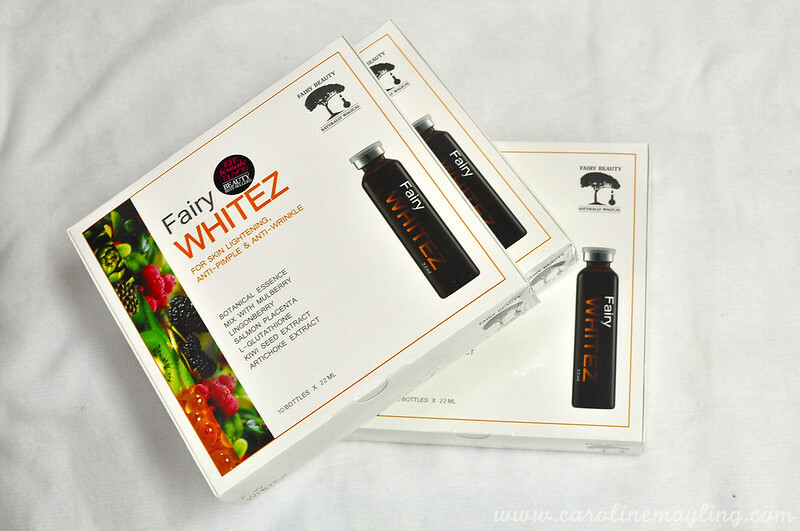 Nourishes the body with vitamins, mineral, amino acids and antioxidants. 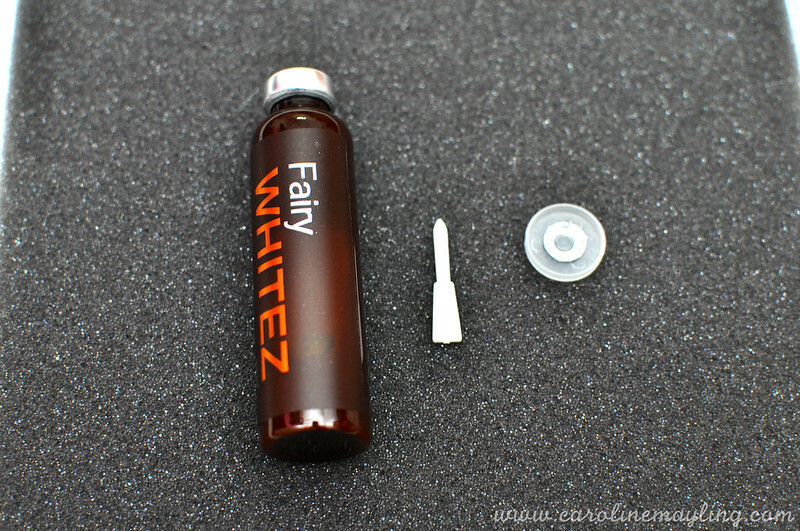 Purchase Fairy Whitez at discounted price on HiSHOP now! The promotion only for limited time.